A new event series from Stefano Sollima, (‘Romanzo Criminale’), based on Robert Saviano’s best-selling book and the subsequent Cannes Golden Palm winning film of the same name. 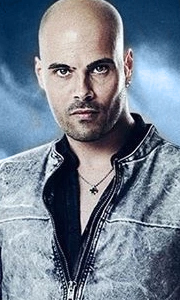 Gomorrah is the inside story of fierce Neapolitan crime organisation the Camorra, as seen through the eyes of Ciro (Marco D’Amore), the obedient and self-confident right-hand man of the clan’s godfather, Pietro Savastano (Fortunato Cerlino), whose loyalty is test..
A new event series from Stefano Sollima, the writer and director of ‘Romanzo Criminale’, based on Robert Saviano’s best-selling book and the subsequent Cannes Golden Palm winning film of the same name. Gomorrah is the inside story of fierce Neapolitan crime organisation the Camorra, as seen through the eyes of Ciro (Marco D’Amore), the obedient and self-confident right-hand man of the clan’s godfather, Pietro Savastano (Fortunato Cerl..
Based on an idea by Roberto Saviano, from his international best-selling book, ‘Gomorrah’ and the film of the same name, directed by Matteo Garrone, comes an event-series from Italy focused on the fierce Neapolitan crime organisation, the Camorra. Set in the suburbs of Naples, focusing on organized crime and the relationships between gangsters, drug dealers, and ordinary people, Gomorrah depicts street-level crime and its hierarchical o.. The era of the Savastano clan, who once undisputedly reigned over north Naples, seems to be coming to an end. What lies ahead now is the largest ever power vacuum in the history of the Camorra a coalition of crime families in and around the urban backstreets of Naples.The king, Don Pietro Savastano (Fortunato Cerlino), has abdicated, only to be replaced by his son Genny Savastano (Salvatore Esposito) at least momentarily. Although sti.. The era of the Savastano clan, who once undisputedly reigned over Naples, seems to be hopelessly over. What now lies ahead now is the largest ever power vacuum in the history of the Camorra with its throne now empty. All the players now have a chance to have their say, no longer subject to Don Pietro's tyrannical rule. But, although physically and mentally tried by hard prison regime, Savastano is not yet willing to lose his empire, or ..
With the Godfather Don Pietro murdered, there is a void to be filled in the underworld of Naples. His son Genny takes control, using the opportunity to settle old scores. The survivors of the remaining factions, exhausted by the warring and massive police pressure, have suffered drastic financial losses and make peace. And with Avitabile in prison for another year, Genny now has to reign over North Naples and Rome.Ciro, on the other ..